A Ukrainian anti-corruption prosecutor’s cases against Paul Manafort have been frozen, and Ukraine is no longer cooperating with U.S. special prosecutor Robert Mueller. "In every possible way, we will avoid irritating the top American officials," says a member of Parliament. KIEV, Ukraine — In the United States, Paul Manafort is facing prosecution on charges of money laundering and financial fraud stemming from his decade of work for a pro-Russia political party in Ukraine. But in Ukraine, where officials are wary of offending President Donald Trump, four meandering cases that involve Manafort, Trump’s former campaign chairman, have been effectively frozen by Ukraine’s chief prosecutor. The cases are just too sensitive for a government deeply reliant on U.S. financial and military aid, and keenly aware of Trump’s distaste for the investigation by special counsel Robert Mueller into possible collusion between Russia and his campaign, some lawmakers say. The decision to halt the investigations by an anti-corruption prosecutor was handed down at a delicate moment for Ukraine, as the Trump administration was finalizing plans to sell the country sophisticated anti-tank missiles, called Javelins. The State Department issued an export license for the missiles Dec. 22, and on March 2, the Pentagon announced final approval for the sale of 210 Javelins and 35 launching units. The order to halt investigations into Manafort came in early April. The Ukrainian investigators had been tracing money paid to Manafort and a New York law firm, Skadden, Arps, Slate, Meagher & Flom, by figures in the political party of Viktor Yanukovych, the Russia-leaning Ukrainian president who was ousted by street protesters and fled the country in 2014. Manafort was a longtime adviser to Yanukovych, working with him to revamp his public image and acquire a pro-Western patina that helped him win the presidency in 2010. The new government established a special prosecutor to pursue corruption in the former administration. By late last year, the prosecutor, Serhiy Horbatyuk, had opened about 3,000 cases, including four related to Manafort’s consulting for the former president and his political party. The order issued in April isolated these four investigations. The cases were not closed, the prosecutor general’s office said in a statement, but the order blocked Horbatyuk from issuing subpoenas for evidence or interviewing witnesses. “We have no authority to continue our investigation,” Horbatyuk said in an interview. One inquiry dealt with possible money laundering in a single $750,000 payment to Manafort from a Ukrainian shell company. 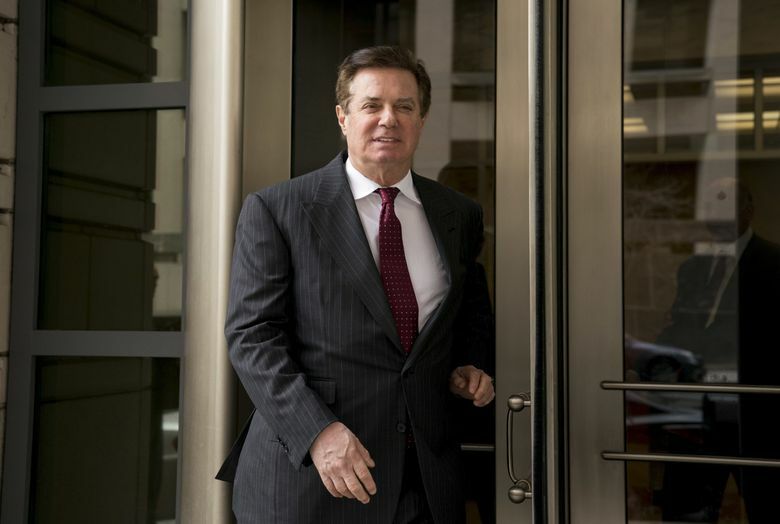 The payment formed one part of the multimillion-dollar transfers to Manafort from politicians in Ukraine that underpin indictments filed by Mueller in federal court in Washington and Virginia. Before the case was frozen, prosecutors had subpoenaed records from Ukrainian banks. Another concerned a former chairman of the Ukrainian Parliament’s foreign-relations committee, Vitaly Kalyuzhny, who had signed nine of 22 entries designated for Manafort in a secret ledger of political payoffs uncovered after the 2014 revolution. The ledger showed payouts totaling $12.5 million for Manafort. The handwritten accounting document, called in Ukraine the Black Ledger, is an evidential linchpin for investigating corruption in the former government. Manafort denied receiving under-the-table payments from the party and his spokesman said the ledger might be a forgery. The other two cases looked at Skadden Arps, which wrote a report with Manafort’s participation that was widely seen as whitewashing the politically motivated arrest and imprisonment of Yanukovych’s principal rival, Yulia Tymoshenko. Two months before Ukraine’s government froze the cases, Horbatyuk contacted Mueller’s office with a formal offer to cooperate by sharing evidence and leads. Horbatyuk said that he sent a letter in January and did not receive a reply, but that the offer was now moot, since he has lost the authority to investigate. But entries in the ledger appear to bolster Mueller’s money-laundering and tax-evasion case against Manafort, said Serhiy Leshchenko, a lawmaker who has closely followed the investigation. They indicate, for example, payments from Ukraine to a Cypriot company, Global Highway, that was also named in an indictment Mueller filed in federal court in Virginia this year. The company covered hundreds of thousands of dollars of Manafort’s bills at a high-end men’s clothing store and antique shop in New York. In another move seeming to hinder Mueller’s investigation, Ukrainian law enforcement allowed a potential witness to possible collusion between the Trump campaign and Russia to leave for Russia, putting him out of reach for questioning. Apart from the missiles, the Ukrainian government is propped up with about $600 million in bilateral aid from the United States annually. Poroshenko’s office did not respond to a request for comment Tuesday.